If you ask someone which spot in their house had the most germs, you might get a variety of areas. Some would say the floor, the toilet seat, or the countertops. 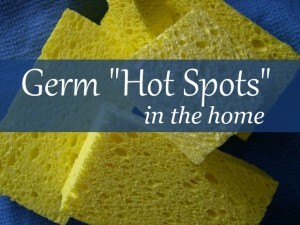 But the biggest germ “hot spots” are actually not what most people would expect. 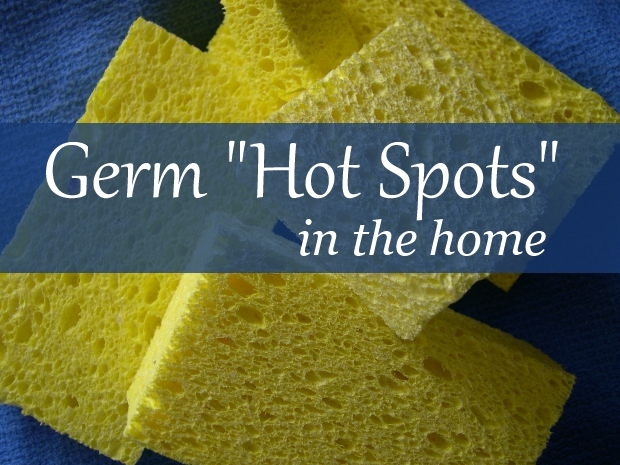 To learn how to fight germ hot spots in your home, it’s important to know where they are. Certain areas of the home tend to breed germs quite easily. #1 – The kitchen sponge – Experts may disagree on many things, but when it comes to germs most will agree the number one hot spot in your house is the kitchen sponge. They are often filled with germs which are spread throughout the kitchen with each wipe. Run your sponges through a dishwashing cycle, sanitize them or change them out every two weeks to fight the germs. #2 – The vacuum cleaner – You think you’re vacuuming your floor and cleaning? Think again, you could be making things worse. You’re picking up dirt and spreading germs because they go right through the vacuum cleaner bag. Replacing your vacuum cleaner bag regularly will help to reduce the spread of germs. One of the most overlooked issues are the germs and contaminants collecting on the head of the vacuum cleaner. To prevent the spread of germs all through the house sanitize the head of the vacuum cleaner before and after vacuuming. #3 – The washing machine – Even though you think your clothes are clean, you could be passing germs from one wash load to another. 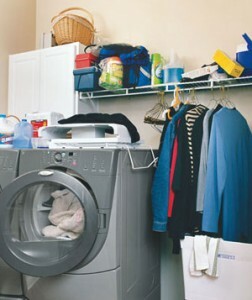 Washing your clothes in cold or warm water and laundry detergent doesn’t do enough to sanitize your clothes. Either you’ll need to use hot water or an antibacterial soap to kill those germs. #4 – The family’s toothbrushes – As much as we would all like to think our toothbrushes are clean, that isn’t the case. If your toothbrush is in the open in your bathroom, you may be getting toilet germs on them. Disinfect your toothbrushes regularly, at least with hot water, and flush with the toilet seats down. #5 – The kitchen trash can – This one may have been expected, but it’s actually cleaner than the other four germ hot spots. Garbage bags aren’t 100% foolproof, so it’s possible germs and yuck leak from the bottom. Those germs can spread to the other areas of the kitchen. Use a disinfecting spray each time you change the bag and wash any leakage you see with a disinfecting solution. Washing your garbage cans out from time to time will also help keep the germs at bay. Keeping on top of these germ hot-spots will keep your home cleaner – and ultimately healthier! This entry was posted in Cleaning, Dr. Doormat Blog, healthy family and tagged germ hot spots, germy areas on July 26, 2013 by debbiedrdoormat. A clean home is a healthier home, but you don’t have to spend every spare minute you have scrubbing, washing, and picking up to keep your home orderly and sanitary! Save time on your way to a less toxic home with these time saving tips. Clean your dryer lint filter. Not only is lint build-up an enormous fire hazard, it also prolongs your drying time quite a bit. Cut your drying time! Wash the screen thouroughly (especially if you use dryer sheets or fabric softener, which can build up). I also don’t recommend dryer sheets for anyone with allergies. Use a discarded toothbrush or small brush with longer handle to reach down in the lint trap compartment and remove as much as you can. You’ll be shocked at how much is in there! Set a timer. Maybe cleaning isn’t your favorite chore – so you let things build up and pile up until you have a full day’s work on your hands. Instead of letting things get out of control, set a timer for just 20 minutes and do a pick-up-wipe-down as fast as you can. You can really get a lot done in that short amount of time! You can even get your kids involved – It’s a fun challenge to try to beat the clock. Decluttering makes cleaning easier and saves loads of time in the long run! De-clutter. Just get rid of stuff! The less stuff you have, the less you have to clean and organize and constantly be picking up. Let’s face it – we all have stuff around our house we don’t really use or need, or sometimes multiple versions of the same thing. (Does anyone really need 6 pairs of scissors?) If it isn’t useful or sentimental to you – ditch it. Only keep things around that you really love. We organized our pantry and realized we were spending too much at the grocery store on duplicate items. Go paperless. Whenever you get the opportunity, opt for online billing and subscriptions. Paper clutter can be one of the fastest things to pile up around the home – if you bring in less to begin with, you’ll be able to spend less time going through it all and shuffling it around. And of course… the first step toward a healthy cleaner home starts at the door. Trap dirt and toxins at the door with Dr. Doormat! When you wipe your feet on our antimicrobial treated doormat, you’ll bring in less dirt and filth in the first place – so you can spend less time cleaning it up! 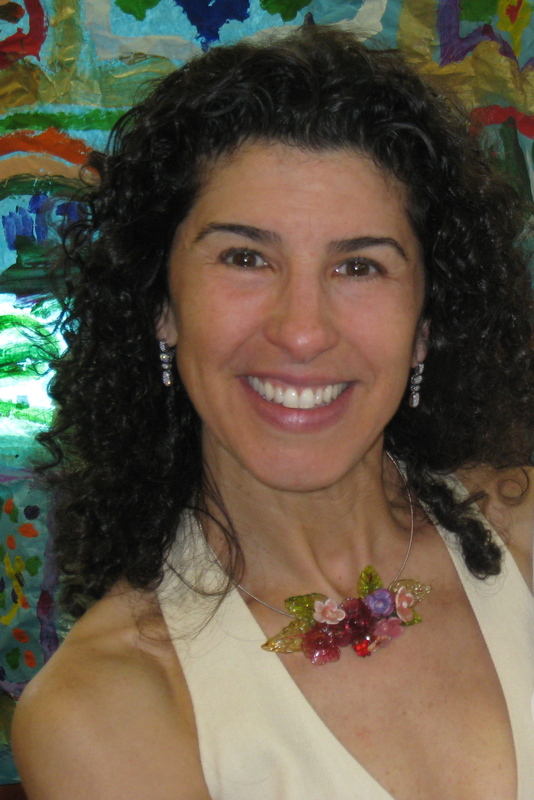 School is almost out, what are you doing with all of those great works of art from your kids? Time to clean up. Try scanning them onto your computer or take a photo if it’s too big and then drag into a beautiful scrapbook. This will clear the walls and preserve their efforts in a lovely memory book forever. While cleaning your home won’t stop with these time-saving tips, they will get you ahead a little bit and make it easier to stay on top of things. The bottom line? Clean as you go, and keep as much clutter as possible out of your home to make organizing and sanitizing surfaces much more simple. 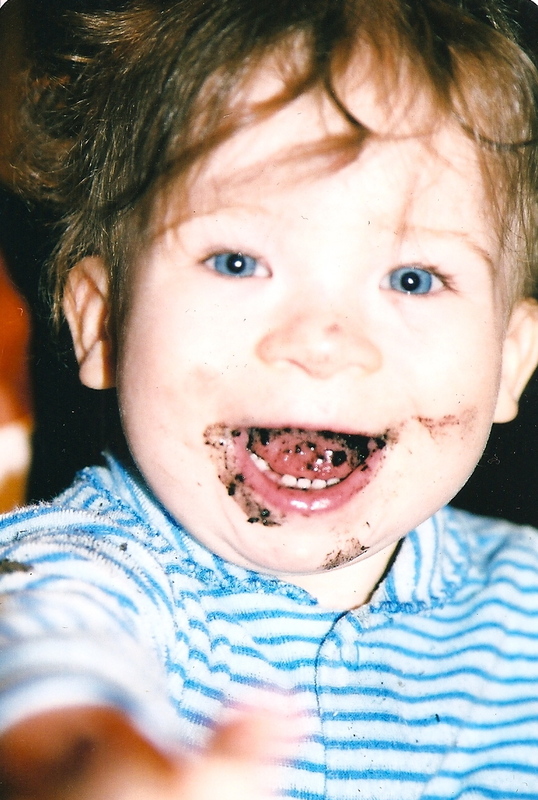 This entry was posted in Cleaning, Dr. Doormat Blog, healthy family and tagged clean faster, fast cleaning tips, save time cleaning on May 31, 2013 by debbiedrdoormat. flowers and other plants for enjoyment. 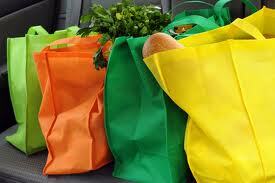 According to some research on different types of produce, organic foods are more nutritious. Unfortunately, they come with a heftier price tag than conventional foods as well. Growing your own organic food is a fun and cost effective way to provide incredibly healthy food for your family. Garden without toxic chemicals to keep your family safe. Pesticides and fertilizers commonly used in agriculture make gardening more efficient, but we pay the price with our health in the long run. Many pesticides are linked to cancer and other health issues. 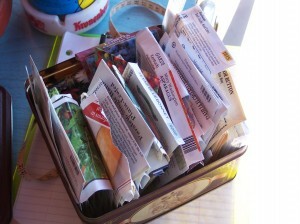 Recycle egg cartons to start your seeds. The cardboard these cartons are made of breaks down in the soil, leaving your plants with room to grow! Start seeds indoors to get them off to a good start. Use rain barrels to collect water for your garden. The soft water is just what plants are craving and you’ll save money on your water bill. Keep weeds at bay – teach kids to identify the different types of plants so they can help out with the pulling. Stonyfield offers some great tips for gardening with kids. You can also start composting certain foods and organic material to make very nutrient-dense, healthy soil for your garden. You don’t even need a lot of space to begin! Keep bugs and pests at bay with companion planting, which involves the way you arrange where things are grown for maximum benefit. About.com’s gardening section has a handy guide. 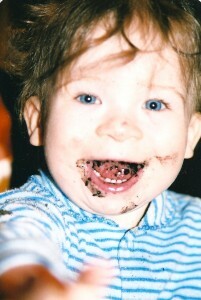 One reason to keep dirt out in the garden! Place Dr. Doormat by the entrance to control the growth of microorganisms on the mat and trap dirt and debris reducing and minimizing what comes into your home. Keep a clean change of clothes to change into before coming into the home. Cover your hair with a scarf, hat, or bandana to keep dirt out. Remove it in the mudroom. Wash or sanitize hands before going inside. A laundry bag is handy to store dirty clothes, so you can just throw the whole thing in the washer. This entry was posted in Cleaning, Dr. Doormat Blog, healthy family and tagged antibacterial doormat, antimicrobial doormat, healthy gardening, organic gardening tips on April 22, 2013 by debbiedrdoormat. typical allergy triggers in the home. Pet Dander – Particularly concerning in the winter when your pet is likely indoors most of the time, pet dander can be a major cause of allergic reaction. Cut back on dander in the home by bathing your pet often and vacuuming your floors and furniture regularly. If your pet is the one suffering from allergies look at your cleaning supplies. Get rid of strong smells and go with non-toxic. Sometimes just good old fashioned floor soap works best. Remember to wipe your dogs paws and underbelly after an outdoor walk. Having a problem with the pet bed and the odors. Switch to an antimicrobial treated floor mat. 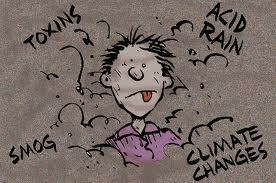 Dr. Doormat controls the growth of microorganisms and odors. Position the mat at the doggie door and other entrances. Dogs also love sleeping on the floor mat because of the way it feels and they don’t destroy it. 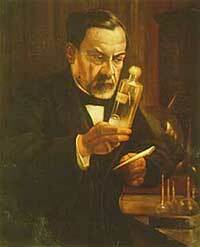 Dust Mites – As gross at it sounds, these little buggers are everywhere. 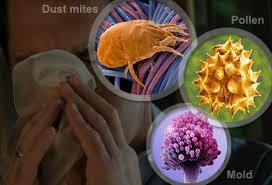 If you are allergic its likely to be more the feces of the dust mite than the actual mite. Keep your home clean with a regular schedule – wash bedding often, dust surfaces, and stay on top of laundry. Furnaces and Heating Sources – Dust and allergens accumulate in the heating and air conditioning system. Keep them serviced and change filters regularly. Follow these winter indoor air tips. Carpets – Avoid wall to wall carpet, but if you have carpet and are stuck with it, at least make sure it stays as clean as possible. Keep them cleaner by wiping shoes thoroughly on Dr. Doormat as you enter the home. The surface of the mat will help trap allergens, pesticides and toxins and disable odor causing microorganisms (bacteria, mold, fungus) on the mat. We can’t always guarantee how well a guest will wipe so we also recommend taking shoes off after using the antimicrobial treated doormat to reduce and minimize our exposure. Keep a shoe rack near the welcome mat. Vacuum your carpets regularly and steam clean as needed. Remember to sanitize the head of the vacuum cleaner before and after you vacuum to further reduce the spread of viruses and germs. Ceiling Fans – Have you cleaned them lately? Use the pillowcase trick to trap dust and dispose of it outside your home! Cutting down on allergen exposure is the key to keeping your family breathing easy. Follow these tips for a cleaner, fresher home – all year long. This entry was posted in Cleaning, Dr. Doormat Blog, healthy family and tagged allergens in the home, allergies, allergy foundation, allergy irritants, antimicrobial, doormat, dust mites, Entrance Mats, floor mat, mold, non-toxic, pet bed, pollen, reduce allergies, welcome mat on March 27, 2013 by debbiedrdoormat. It’s official – Spring is here! Many families are going through the process of spring cleaning their homes, a yearly practice that is refreshing and good for our health. Why not apply the same idea to the office? 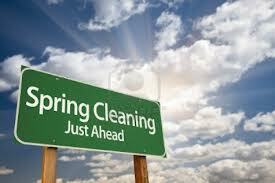 Spring clean your way to a clean office to recharge and boost your health, productivity and happiness at work! Make a good first impression at the front door & entryway. Put your best foot forward and give it a thorough cleaning. Use non-toxic eco-friendly cleaners. Open windows when you clean, let the office breath. Be sure to use a vacuum with a new bag and clean the head of vacuum before you begin to prevent contamination. Ceiling Fans and light fixtures – Start at the top and work your way down. Unplug the fixture and wipe blades, change bulbs (begin a shopping list for supplies). Clean Electronics – Wipe down electronics from top to bottom, paying close attention to areas that are touched frequently like keyboards, phones and buttons. Remove all items from the desks, wash and dry all counters and desks. (use cloth cotton diapers to reduce dust, purchase a pack of 10). Check for battery replacement. Deep Clean Office Furniture – Take the opportunity to give office chairs and other furniture a thorough cleaning using a steam cleaner with attachements. Do it on a Friday to allow everything to dry over the weekend. 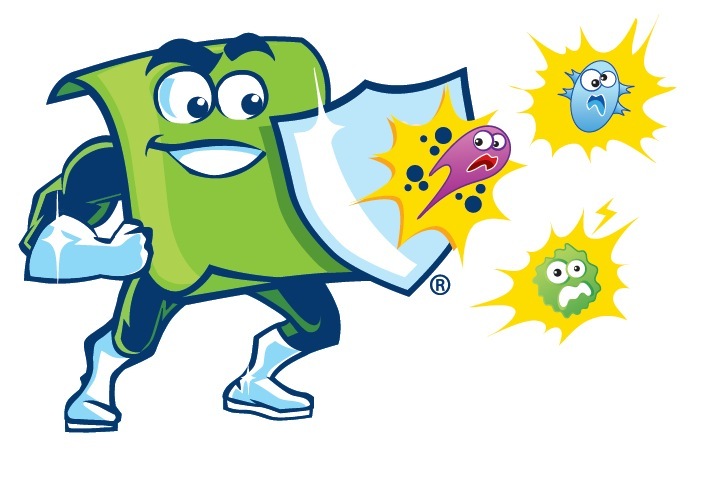 Sanitize Germ “Hot Spots” – Doorkobs, cabinet handles, drawer pulls, light switches and desk tops are all germ magnets. Sanitize them thoroughly to curb germs. 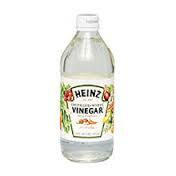 Wash Windows – Inside and Out – Give the windows a good shining with a 50-50 solution of vinegar and water. Supply Room/ Copy Center/ Shipping Station – Clean it out and consolidate. Wash all shelves, counters and add needed supplies to shopping list. Steam Clean Carpets – Last thing is steam cleaning those carpets, paying close attention to high traffic areas. No carpets? Great wash the floors. Last step, place Dr. Doormat at entryways to trap dirt and dust, controlling the growth of microorganisms. The way you decorate your office has a profound impact on daily productivity and your mood as you work. Add inspiring and motivating elements to your surrounding to make the most impact. Encouraging Wall Art – Hang inspiring quotes & images to encourage productivity & creativity. Color Choices Matter – Choose colors according to the impact you want to have. Blue is the most productive color, while purple encourages creativity. Calming colors include Green and Blue which are tied to nature. 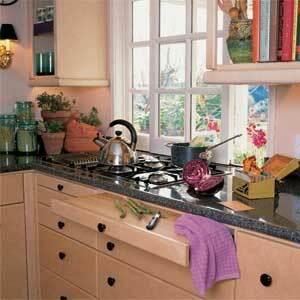 Curb Clutter – Select organizers that help minimize the clutter. 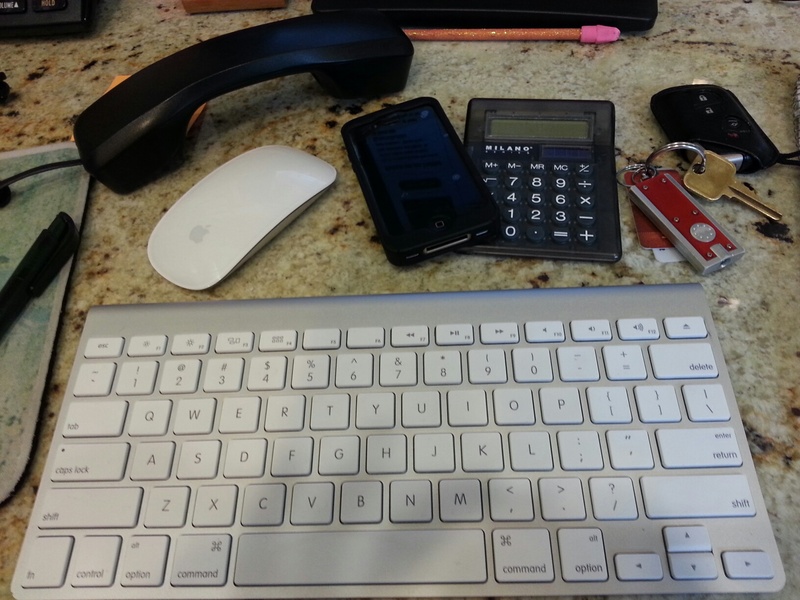 Clutter is overwhelming and stressful – not conducive to a productive environment! Set up systems and rules that you can live with to maintain order and rid yourself of those little pieces of paper and piles. A favorite trick is a shoe bag hidden on the inside of a closet door which makes great compartments for little things. Spring into success by maximizing your productivity in a fresh, clean office. This entry was posted in Cleaning, Dr. Doormat Blog, Office and tagged clean office, Dr. Doormat, eco-friendly, entryway mats, microorganisms, non-toxic, office cleaning, spring cleaning, trap dirt on March 20, 2013 by debbiedrdoormat. Essential oils are more popular than ever these days, and for good reason: they have many useful purposes for health and homemaking. Because essential oils have amazing health benefits when inhaled, they have loads of benefits over standard, chemical-laden cleaners and air fresheners that do just the opposite for our well-being. Today, I’d like to share a few ways you can use these botanical oils around the home for cleaning and aromatherapy. Fill a 4 oz. spray bottle with warm water and add ½ teaspoon of baking soda and 10 drops of your favorite essential oil. Spray on furniture, carpet, drapes and beds for fresh fragrance. Some people prefer to use lavender, which is calming, in the bedroom and uplifting lemongrass in the rest of the home. To get the aromatherapy benefits of your favorite essential oil every time you enter a room, apply 2-3 drops of essential oil to lampshades and bulb covers with a cotton ball. The light will warm the oil and throw scent into the room. Dust with furniture polish that cleans and uplifts by adding 5-7 drops of your favorite essential oil to 8 oz. of olive or jojoba oil. Use a clean cloth to apply a small amount to wood furniture for cleaning and polishing. If you’re interested in using more natural products around your home, essential oils can be your best friend – especially if you enjoy beautiful fragrances. Enjoy the holiday season with fresh and natural scents. Happy Sniffing! This entry was posted in Cleaning, Dr. Doormat Blog, healthy family and tagged aromatherapy, cleaning supplies, environment, home environment, natural disinfectant, using essential oils on December 3, 2012 by debbiedrdoormat.